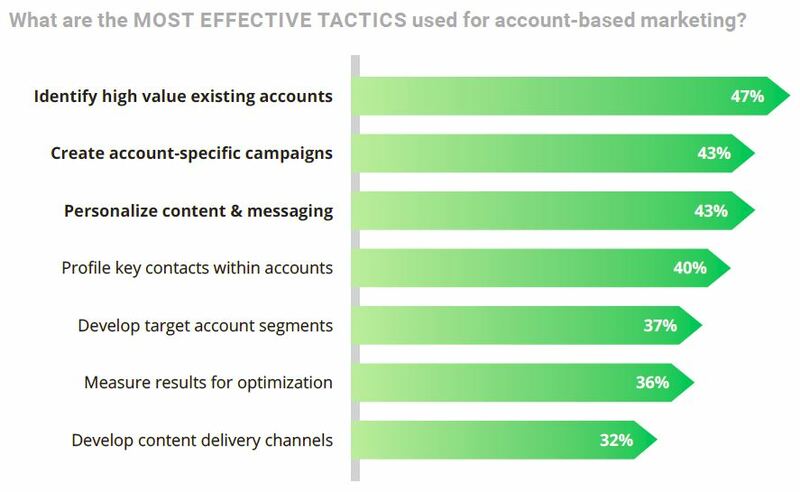 Is Your Company Beneftting from Account-Based Marketing? Account-based marketing (ABM) is nothing new; it is a strategy that successful salespeople have been employing for decades. The recent trend is its adoption at the enterprise level, and that has been fueled by software that enables data collection, comprehensive analysis, marketing automation, and ongoing tracking. In fact, due to affordable software and the need for businesses to evolve to the changing sales dynamic, ABM is quickly becoming a go-to solution for strategic growth. Most applicable for B2B, account-based marketing is understanding and addressing the specific needs of chosen clients/prospects, by collecting and using data strategically, as well as harmonizing marketing and sales efforts. Sounds logical, even obvious, however very few companies take such a customized and client-centric approach. It requires a significant amount of planning and process, and the willingness for sales and marketing to play nice together. The automated marketing tactics above are critical. According to research by Ascend2 and SharpSpring, the primary hurdles to making ABM work effectively are coherence in sales and marketing, increasing sales opportunities and reducing the sales cycle. This chart illustrates challenges. Using software to help guide the process, facilitate implementation and monitor progress is invaluable in getting on track and reaping the rewards of ABM. Having the strategic guidance is the obvious first step, but without the actual implementation process you’l not be travelling far. A critical aspect of the strategy, and benefit of using marketing automated software, is better aligning sales and marketing. The study by Ascend2 and SharpSpring went further to identify the best tactics for ABM. The following chart shows what tactics provided the best results. Again, highlighting the strategic benefit to using marketing automated, or inbound marketing, software. No longer a tactic just for savvy salespeople and Fortune 500 companies, account-based marketing is a useful and successful strategy for small-to-medium size businesses. What are your experiences with account-based marketing, or the use of automated marketing tactics? NB PROSAR Inbound Inc. is a certified SharpSpring Partner. Despite our bias to SharpSpring as an ideal solution for SMEs, we encourage companies to consider any software that helps them plan, implement and measure a strategic approach to sales and marketing.